Next AJE Component of the Month – November Reveal. Wow Lesley, you have been so productive. I love and admire all of your pieces and reading about where your inspiration came from. You are a very talented lady. Beautiful work, I love the Victorian gothic feel to your raven cab. The beads are gorgeous, but I think the felting is my favourite of the bunch… it's stunning! Oh, wow what beautiful pieces! I love what you did with Joan Miller's cab, it's just beautiful and I think it will be such a stunning necklace! Your polymer Raven is brilliant I really it! 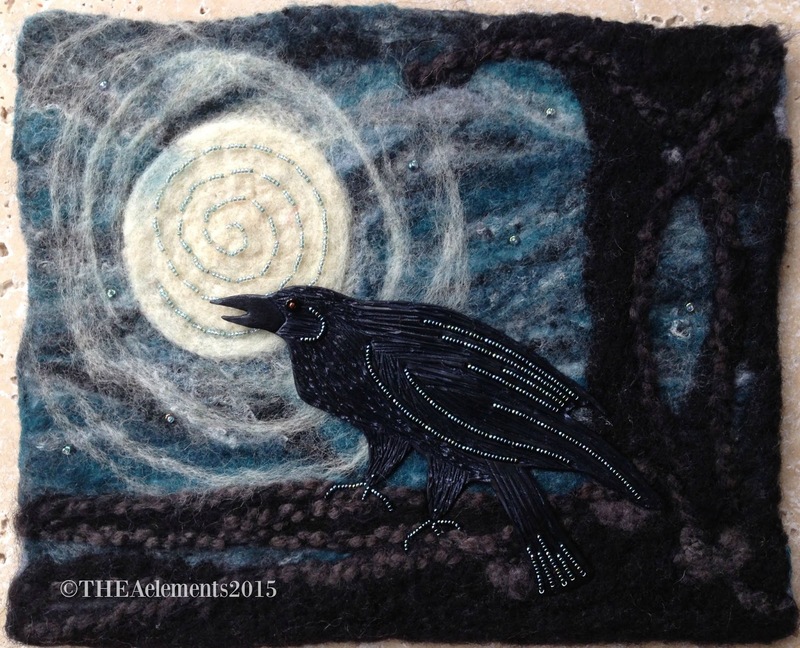 But oh my, I am really loving seeing your felted pieces! 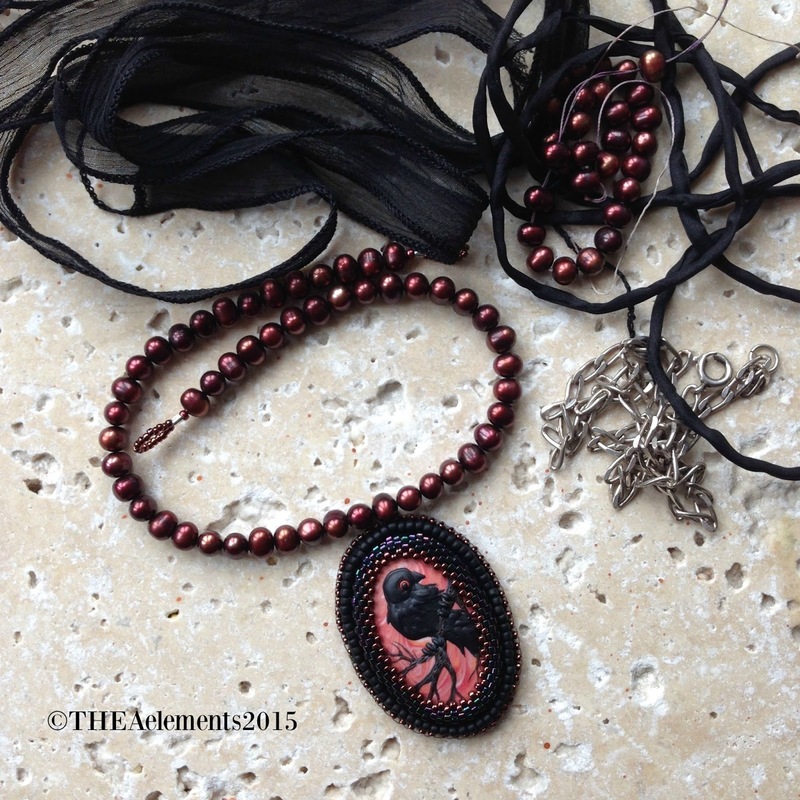 That last one has such a dark and magical feel to it and I love how you use the seed beads!!! I what you created with the Miller cab. It is a stunning necklace! I love the colors in it and the pearls are to die for with it. You are so talented in an ever-growing array of media. 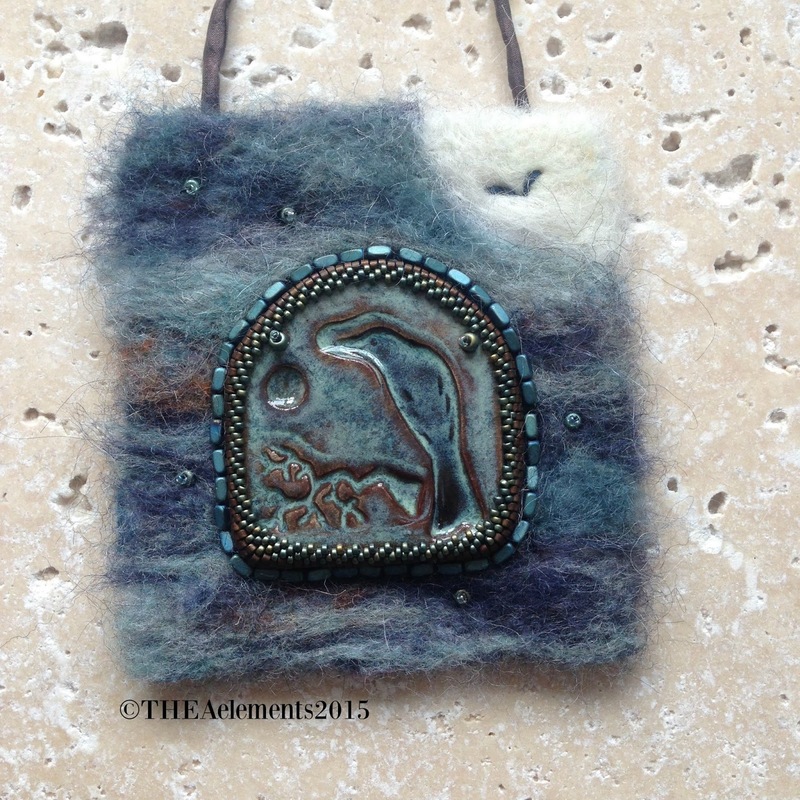 The way you've combined felting with the art beads is spectacular. I have no idea why you think your sculpting skills aren't the greatest. I look forward to seeing how you finish the first piece. I do that sometimes as well – spread a bunch of possible components out and still not find what's quite right. I'm sure it will come together into something as stunning as the rest of your pieces. So much good stuff here, Lesley! 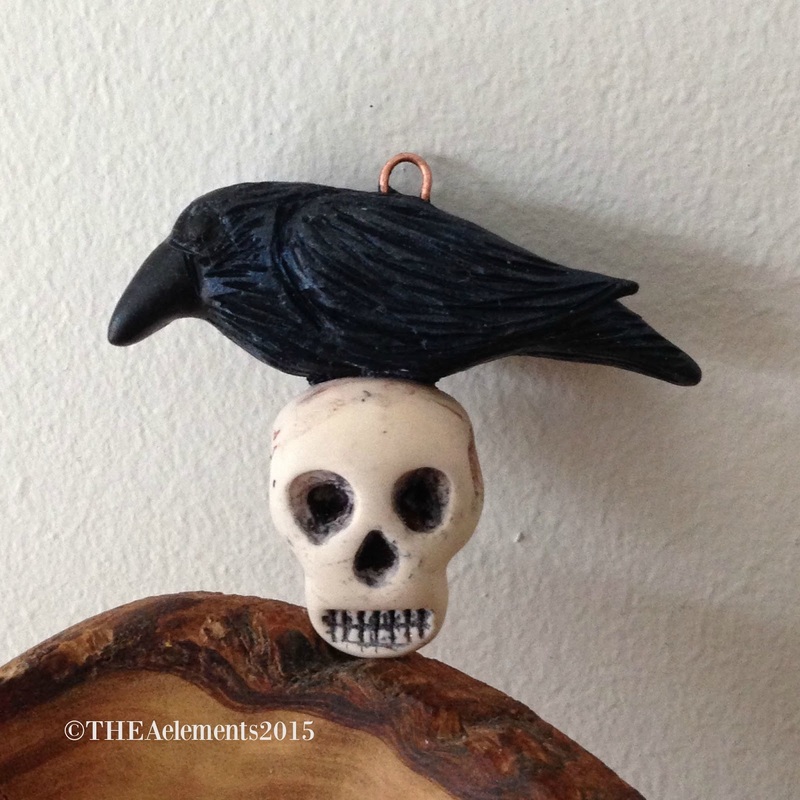 I really like where you are going with your raven and skull pendant… and I look forward to seeing what you pull off in ceramic clay. That last art piece is just stunning! Thanks for sharing all that you've been up to with us. I love how you bezeled Joan Millers cab…your choice of beads are a perfect compliment to her design. I hope your necklace comes together, those pearls are so yummy! Your excitement in learning new techniques and combining mediums really shows in your new work, I love it all! Nevermore shall you say tour sculpting skills aren't up to snuff. You know I love them all – each one more than the last. And its exciting to see your ideas evolve from this summer! Each of these are stunning and it was fun to see how your ideas developed and were influenced. I love the colors you used with Joan's cab. I didn't know about the association of ravens and skulls, so I found that interesting. Your last piece is my favorite. You really rocked this theme! Everything just plain blows my mind!!! All are lovely, I really like the raven cab. Wow – those are stunning!! What soulful and beautiful works of art you've created! Amazing!